5802 River Road is no longer on the market. 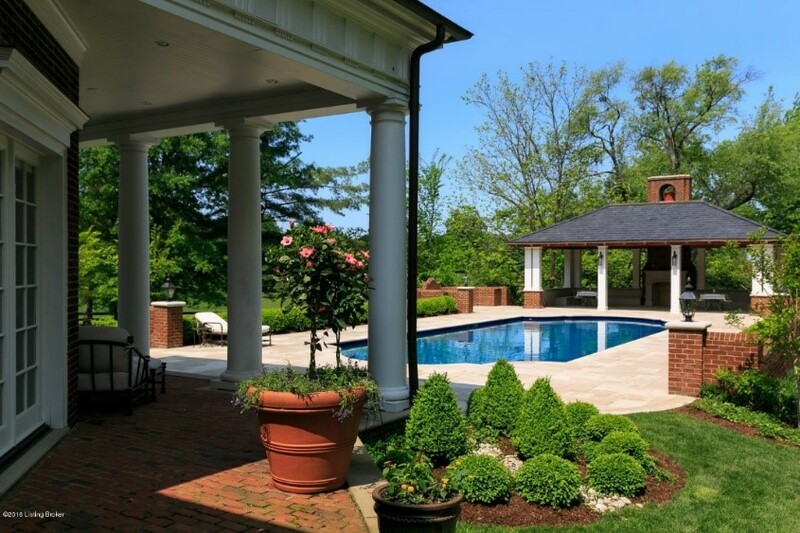 This home is currently the most expensive home listed on the Louisville real estate market. As you could imagine, a home this expensive is going to be impressive! This home features FOUR homes and 148 acres! 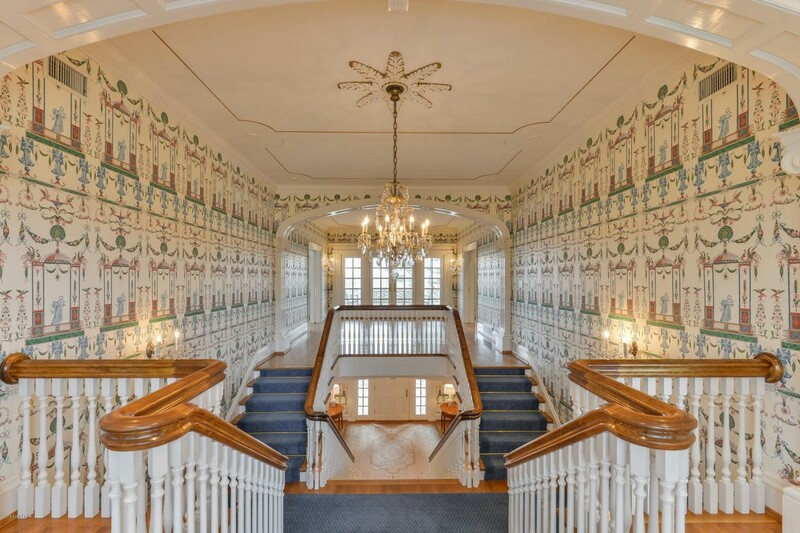 The main house is a whopping 12,000 square feet. 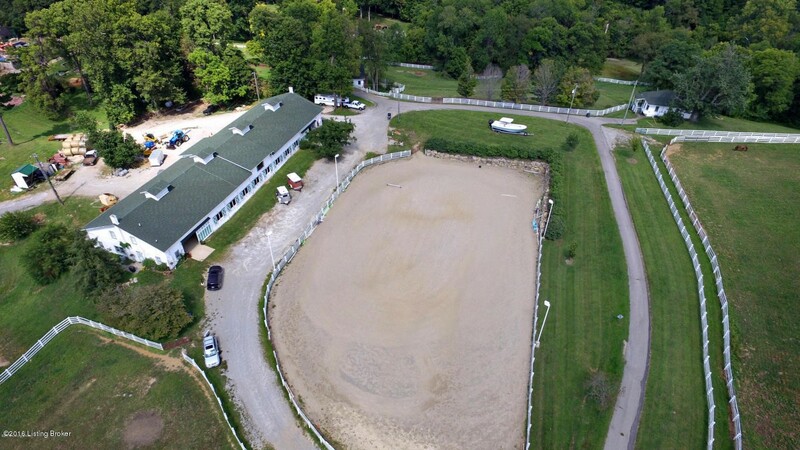 There is also a 20,000 square foot barn with 24 stalls! In addition, there is also a 30,000 square foot outdoor arena and eight paddocks. This home is listed by First Realty Group. 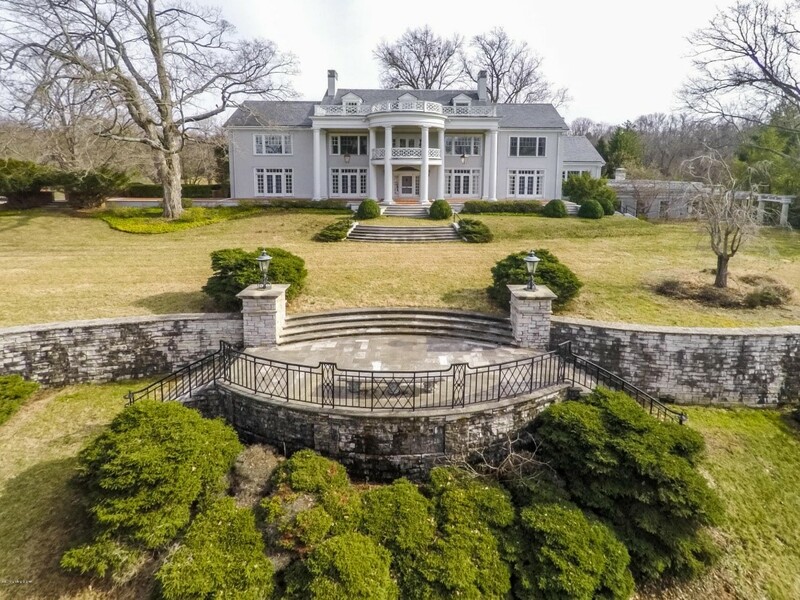 This stunning six bedroom and eleven bathroom estate is located on 21 acres with views of the Ohio River. This estate was built in 1905 and is on the National Register of Historic Places. 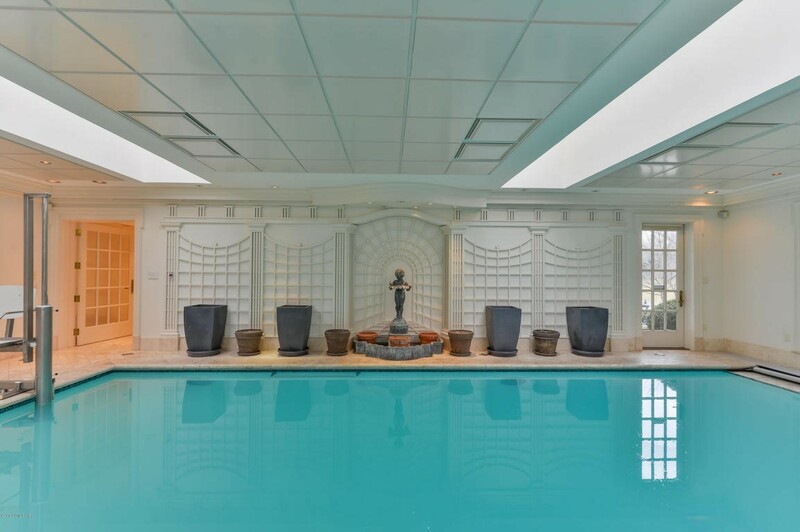 This home features an elevator, indoor pool and solarium, garden house, greenhouse, guest quarters, and so much more. This home is listed by Lenihan Sotheby’s International Realty. This home is no longer on the market. This five bedroom and nine bathroom Indian Hills home is a true standout. Some of the many features this home has to offer are Saltwater pool, four car garage, five fireplaces, white marble-clad bathroom, and Control 4 home entertainment and monitoring system. 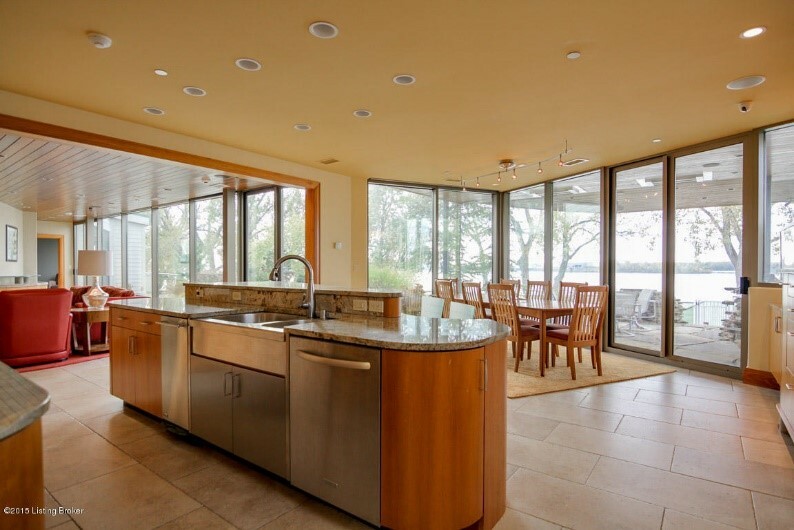 The lovely kitchen includes double dishwasher, marble countertops, Viking gas range, and stainless appliances. The outdoor is just as impressive and includes 3.86 acres of land. 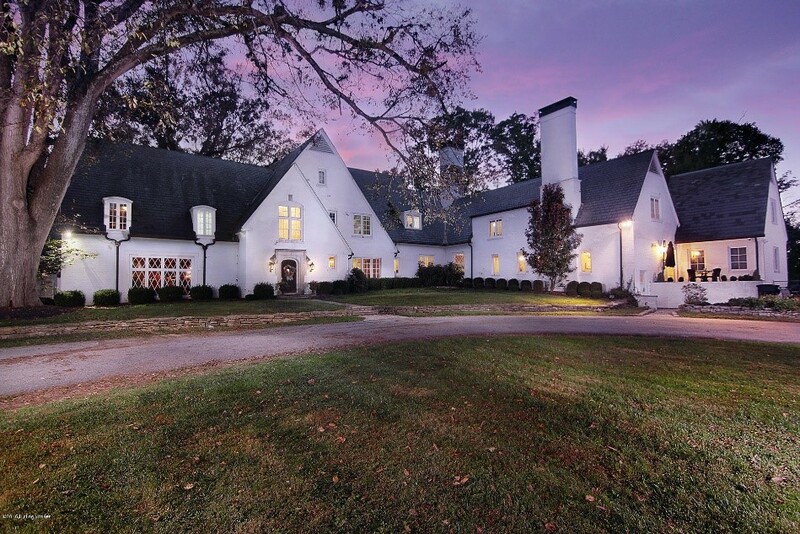 Listed by Lenihan Sotheby’s International Realty. 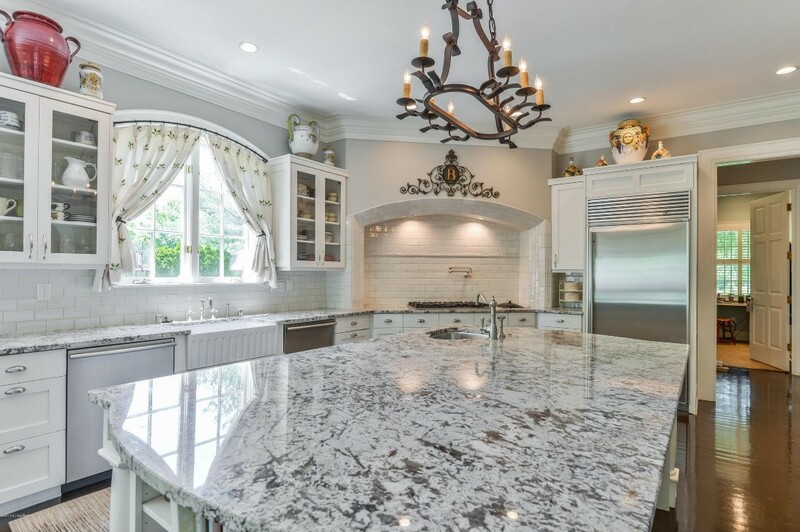 Gorgeous 12,323 square foot estate in Glenview. 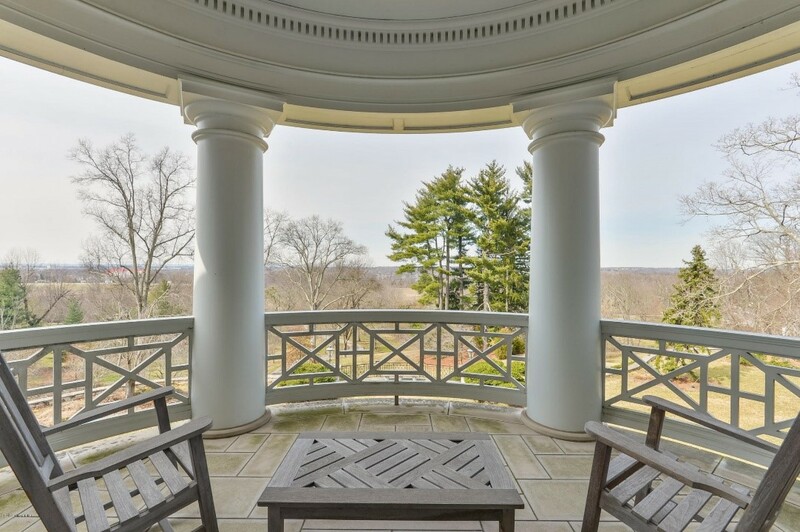 Built in 1998, this home was inspired by Thomas Jefferson’s Monticello. 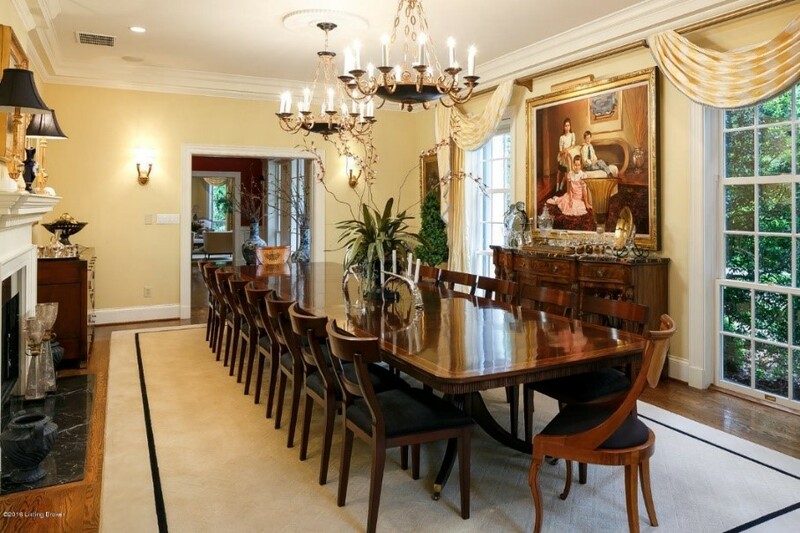 Six bedrooms and seven bathrooms allow for plenty of room for a large family or entertaining. In addition, there is an apartment on the property. 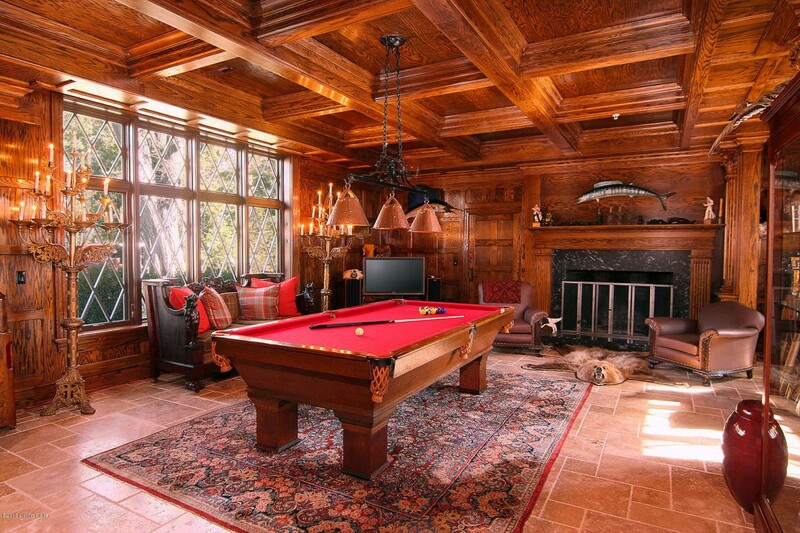 Although this home has many magnificent features, two features that really stood out to me are the wine cellar and pool with terrace and pool house. 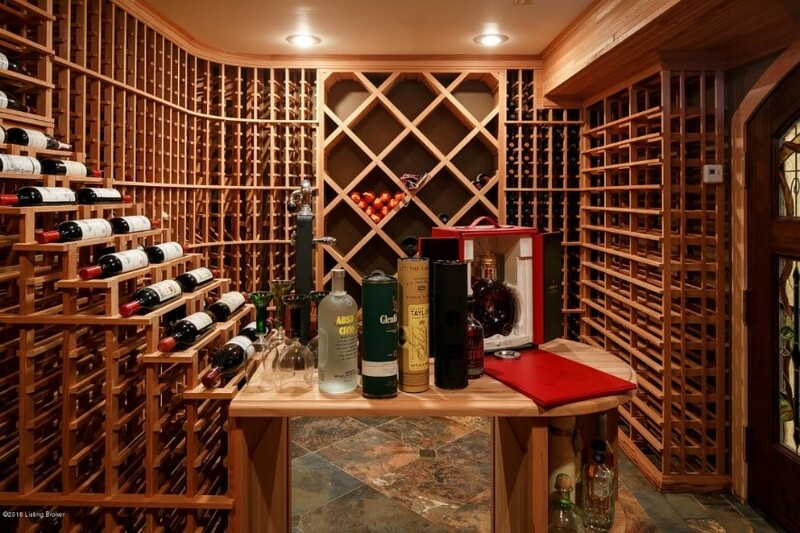 The wine cellar holds up to 2,200 bottles and is climate controlled. 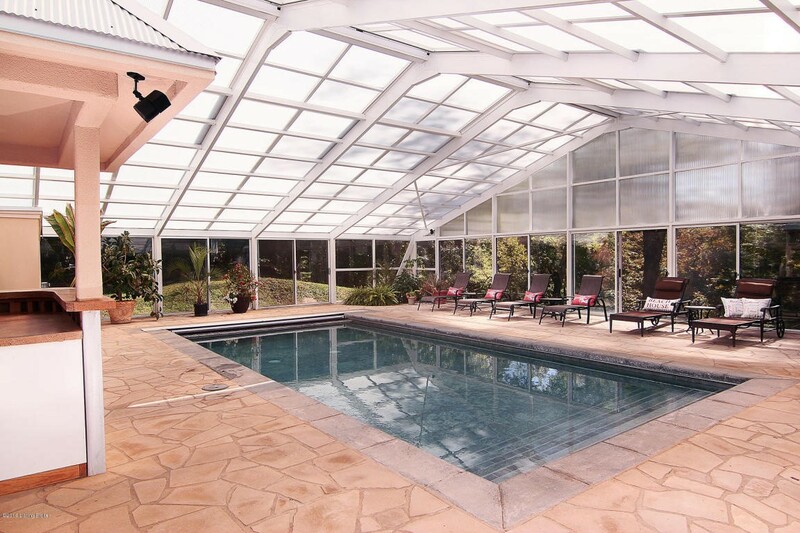 The outdoor area of this home is absolutely stunning and the pool area is ideal for entertaining. Listed by Kentucky Select Properties. 5505 Juniper Beach Rd. is no longer on the market. Last but not least is the contemporary four bedroom and six bathroom home named, ‘River Garden House’. 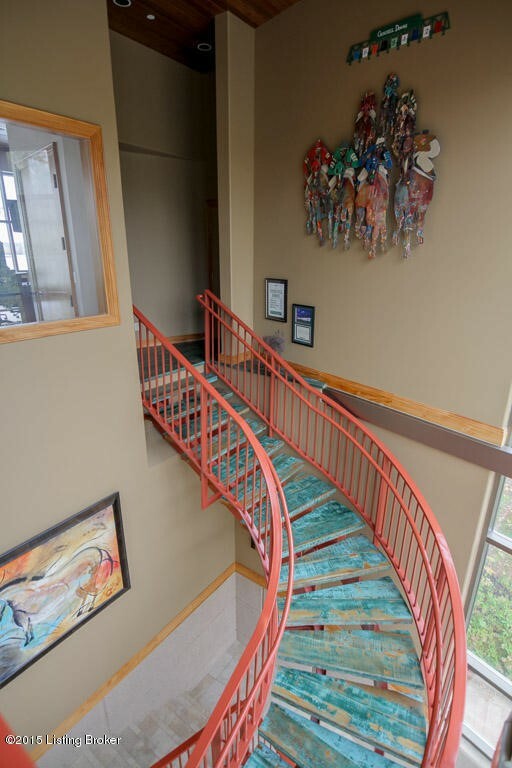 This home is located on the Ohio River and has TWO private docks and a seawall. 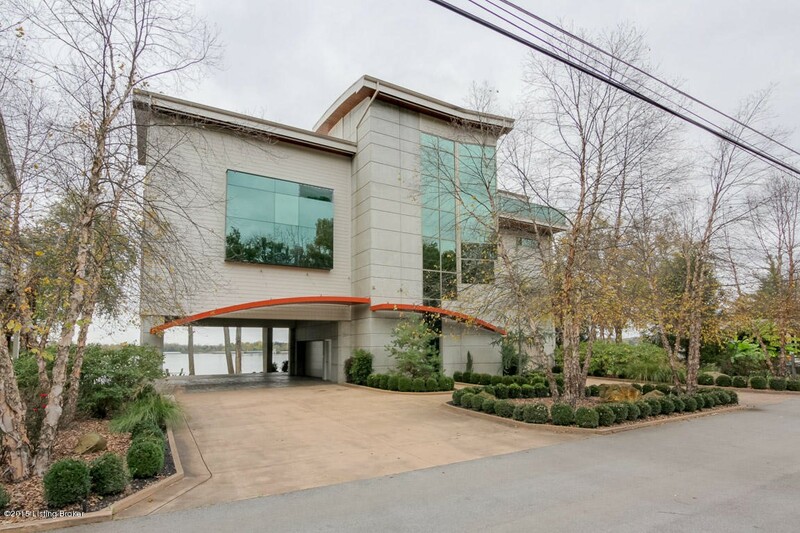 The inside of the home offers many gorgeous panoramic views of the river. 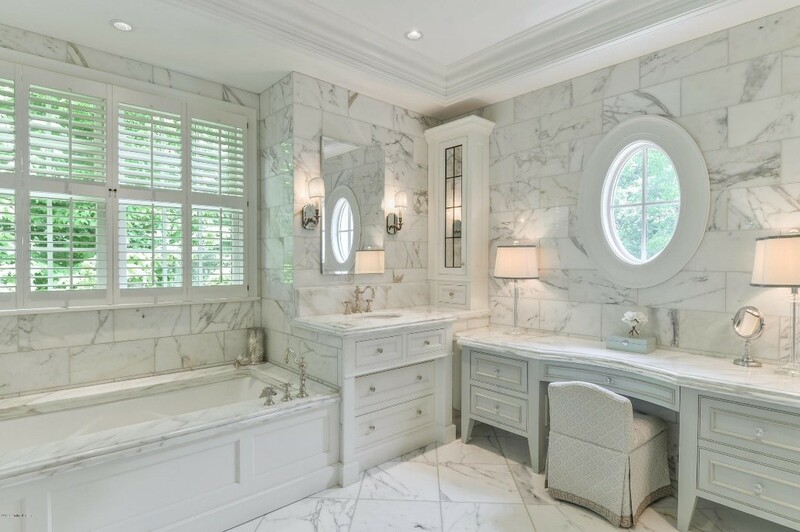 A few of the MANY features include elliptical granite, natural stone accents, porcelain travertine, heated floors in the bathroom, heated patio & garden room, elevator, and four car garage. Listed by Gant Hill & Associates, LLC.